In addition to Binge On, T-Mobile announced during UnCarrier X this morning that they are doubling data amounts for all Simple Choice plans across the board. Previously, a Simply Choice plan started at $50 a month for 1GB of high-speed 4G data speed, but now, that plan comes with 2GB of high-speed data. The same goes for any and all lines added onto the plan – all will have double the amount of data. Adding a second line still costs $30 a month, but comes with 2GB of high-speed data, instead of just 1GB. Additional lines after the second line are priced at just $10 a month for 2GB of high-speed data, with a max of 10GB of high-speed data for each line. A plan is maxed at 12 lines. T-Mobile emphasizes that these are not buckets and there is no sharing involved. Each line has its own amount of data it can use. 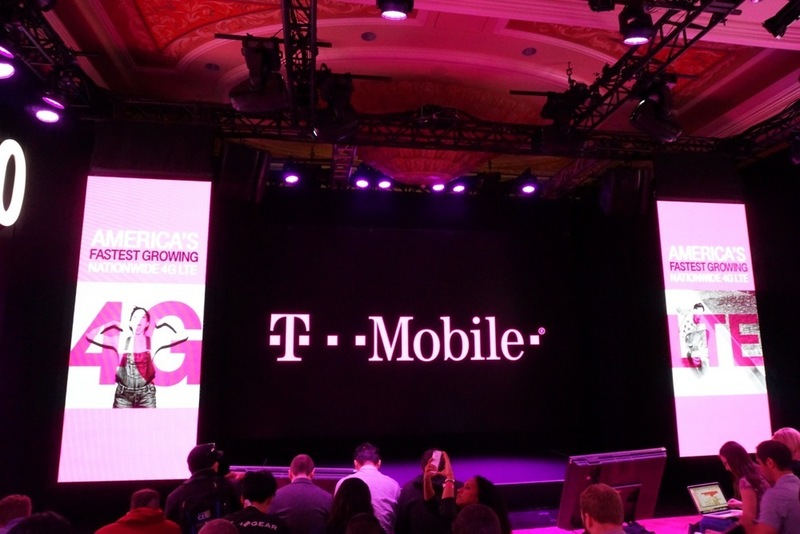 To help celebrate today’s news, T-Mobile is making the fourth line free. For a limited time, a family of four can get four lines for $120 with 6GB per person (24GB total), with no sharing, at just $30 per line. Given these are Simple Choice plans, they have access to all of the great features offered by T-Mobile, including Music Freedom, Binge On, Data Stash, Mobile Without Borders, and WiFi Un-leashed. 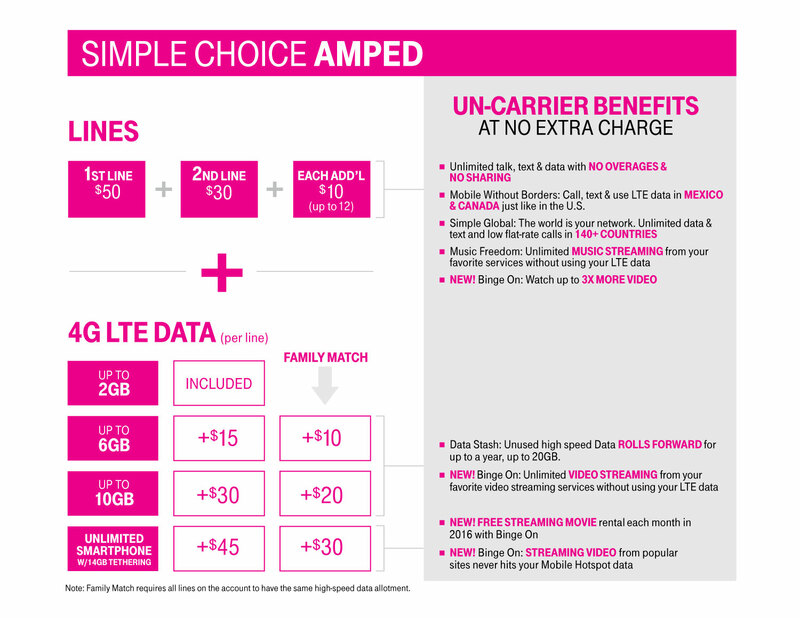 T-Mobile states these Simple Choice plans go live on November 15.